Měnič napětí z 12 na 6 Volt pro motorek stěrače a ventilátor topení 50 x 16 x 15 mm. Zabraňuje spálení motorku při zablokování mechanismu. Nutná aplikace na kovový povrch, pevně uchycený šroubovým spojem!!! 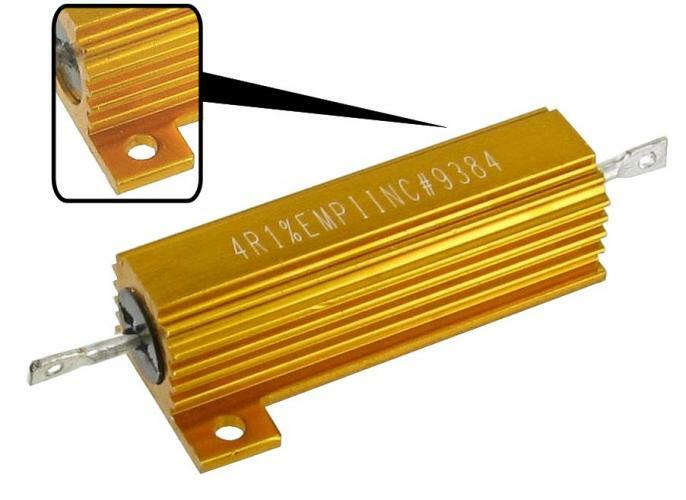 Wiper motor converter 12 to 6 Volt 50 x 16 x 15 mm. Wiper motor inverter, now if your car uses a 6 volt power circuit and you want to go switch to 12 volt then you will have to replace all power consumers for 12 volts. At the wiper motor you can get a problem, these are new available in 12 volt (see marriage) but this model differs from the 6 volt instance. For this problem or if you totally don't feel like your wiper motor from build is this inverter. The inverter is between the wire that runs from the fuse box to the wiper switch soldered and your existing 6 volt wiper motor works flawlessly in your new 12 volt power circuit. Please note: this inverter is a resistance that a heat source, let him so don't loose between the wires neat fixed hang but turn it away from electricity cables or other combustible matters.